The open-air market and the people who trade in them are a common denominator of every African society. It’s where life converges: meals are planned, hair gets done, broken things get resuscitated, news is exchanged, livelihoods are made. By day, a market’s beauty lies in the experience of being in it, surrounded by the throngs, haggling and scoring. But by night, the closed market morphs into an eerie space, marked by the finality of the past day’s fortunes (or misfortunes) and the anticipation of those to come. 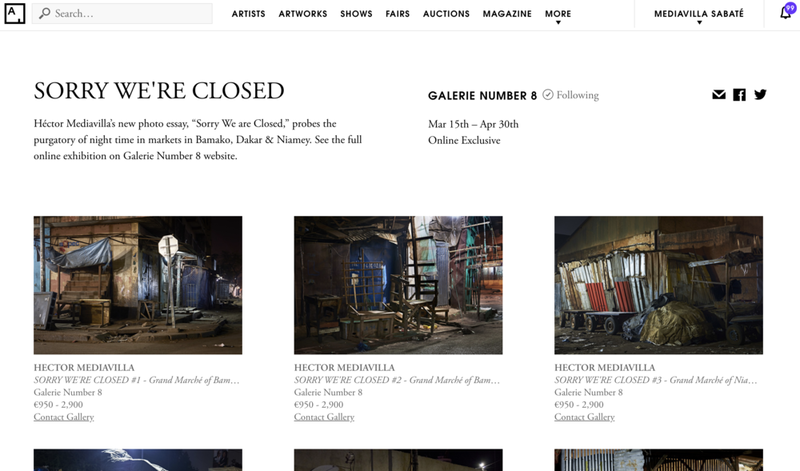 Spanish photographer Héctor Mediavilla’s new photo essay, “Sorry We are Closed,” probes the purgatory of night time in markets in Niamey, Bamako and Dakar. He is known for looking at social issues and social groups as they relate to their surroundings. 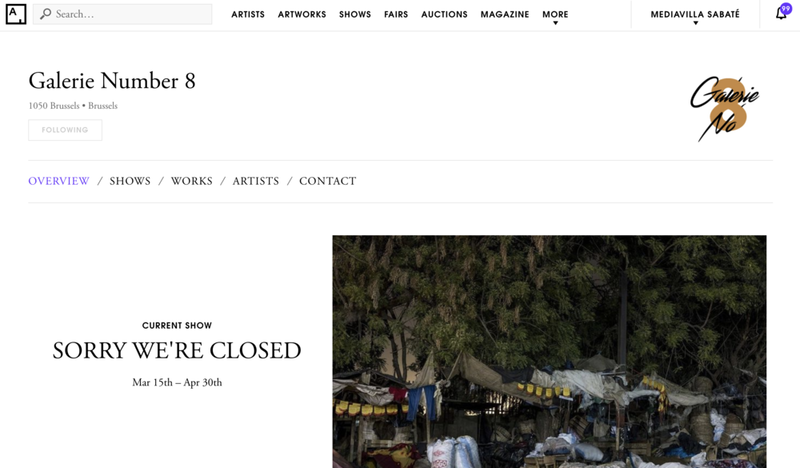 With “Sorry We are Closed” Mediavilla asks us to sit with what we can’t easily appreciate during the day, namely how much grit and precarity market sellers deal with. Spotlights reveal stacks of rickety tables, storage facilities fashioned from crinkled tarps, debris, stalls doubling as the evening’s shelter. You wonder, did the seller have a good day? What is life like working everyday vulnerable to the elements? How do merchants manage the vagaries of customer demand? The greatest strength of the collection is that, even with people almost completely absent from the frame, each image manages to celebrate human resilience. Despite the relentless hustle, street vendors return to – and endure under – these conditions, day after day, night after night. And we, the buyers, are grateful to them for it.